We are backed by a quality control wing that comprises experienced quality inspectors who strictly check all the products before making the final dispatch. Located in Bangalore(India), our company is involved in making available wide array of products that are in conformance with the industry standards. 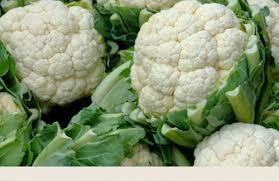 Cauliflower has innumerable health benefits and known to kill the cancer stem cells.